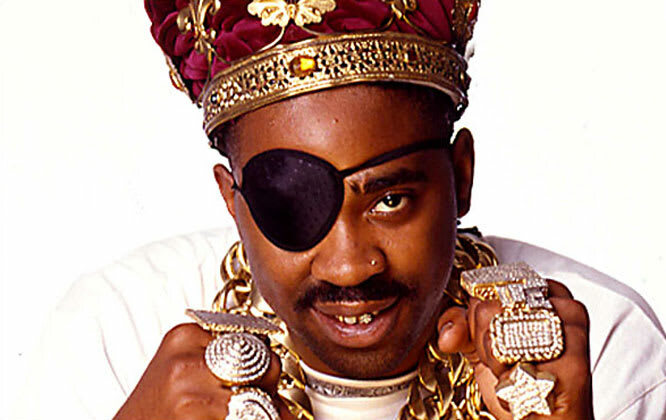 A hip-hop pioneer and every jeweler's fantasy, Slick Rick, aka Slick Rick the Ruler, made wearing an eyepatch cool in the 1980s. That alone is a feat worth making this list. With his signature multi-layered gold chains, some emblazoned with diamonds, he kept his clothing simple to crisp white-tee's, button-downs, and the occasional adidas track suit. When you are wearing close to a million dollars of jewelry at a time, you don't really need to wear anything else. His style was so serious it even inspired another modern-day stylish rap icon: Yasiin Bey.